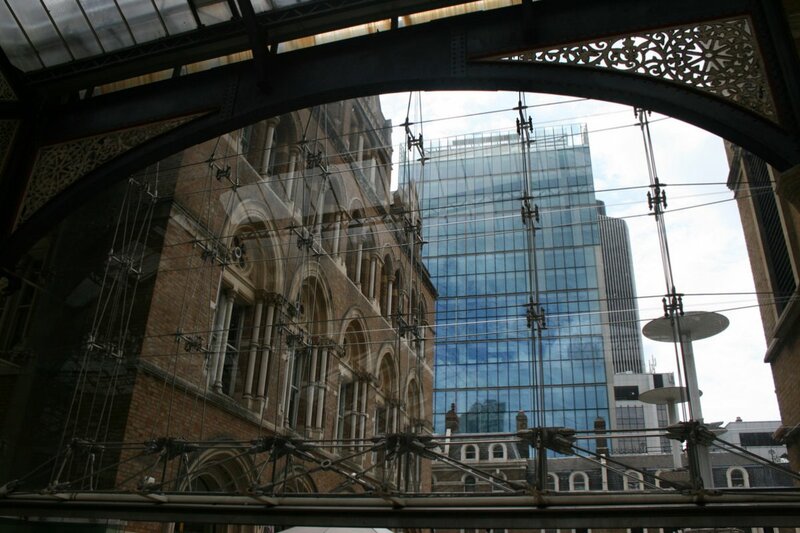 From within the Liverpool Train Station, the wide glass windows brought views of downtown buildings. That day, I walked around the station, taking photos of the tourists exploring the area and the locals on their way to work. The design of this window stood out.